I see it now and again on Facebook, that one meme. 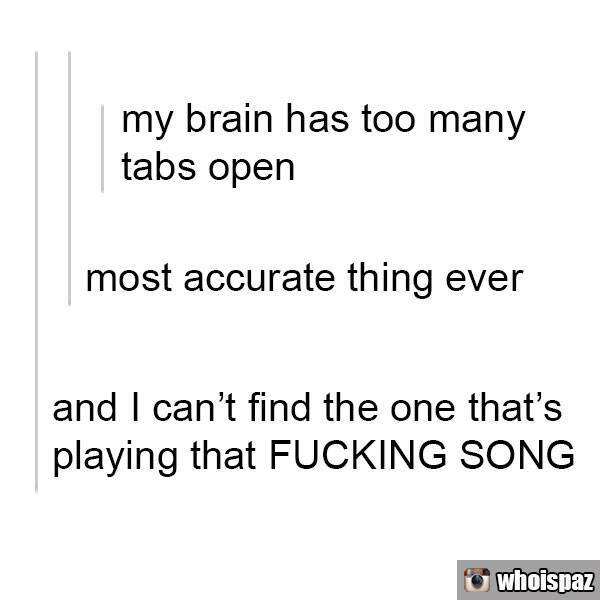 Sometimes it’s “a woman mind is like an internet browser 2,486 tabs open” or it’ll be a creative person with the same amount of tabs open. And I still can’t find that one f%$king song. Being a writer is great. Being an artist is awesome too. It means loads of ideas bouncing around like three year olds with giant pixie sticks. It means never being alone in your head. It also means talking to yourself quite a lot and getting really funny looks from people because, you know, people. It also means that every now and again you get overwhelmed and the words just won’t come. It’s not your muse’s fault. She could be there, hanging out on your shoulder with a giant coffee cup going “What, I’m here aren’t I?” with that nasty superior look she reserves for moments such as this. It’s not even the words fault. No, no. They’re right there, on the tip of your fingers. But your fingers have somehow become bent. Something very much like this. 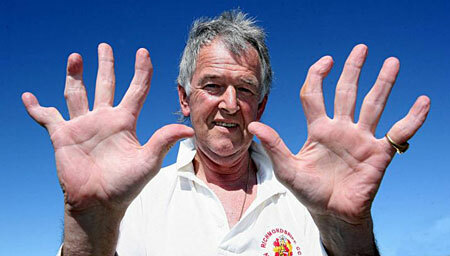 This is David Morrison, by the way, He is a wicket keeper. Which is as British as it sounds. Not that it’s necessarily a bad thing. Sometimes the brain knows when the brain needs a break. Sometimes the story knows when the story needs a break. Sometimes both brain and story gang up on the body with a cricket bat and make it impossible to write. All those open tabs I was talking about? Closed in less than thirty seconds. Writers will tell you to write through writer’s block. Other writers will tout that there is no such thing as writer’s block; it’s all in your head and you really can just keep going through it because this is what writer’s do to make it. Writer’s produce. Writer’s read. Writer’s write. The list of what ‘writer’s do’ is very nearly three miles long. And I’m pretty sure it’s code for “shut the f^%k up and write”. The great thing about having bent fingers, is the bent middle finger you raise to all those who would tell you to force something when it doesn’t want to come. Being a writer is awesome. I wouldn’t trade it for the world. Probably because I would end up in a room strapped into an ‘I love me’ jacket, but that’s beside the point. When the story doesn’t want to be written down, don’t force it. Sometimes you can be on the right track, you can KNOW where things are going and what’s going to happen next, but that doesn’t stop roadblocks from happening. Sometimes you just need a break for a few days. And damned if it doesn’t feel good to sit down and read someone else’s story for a while.